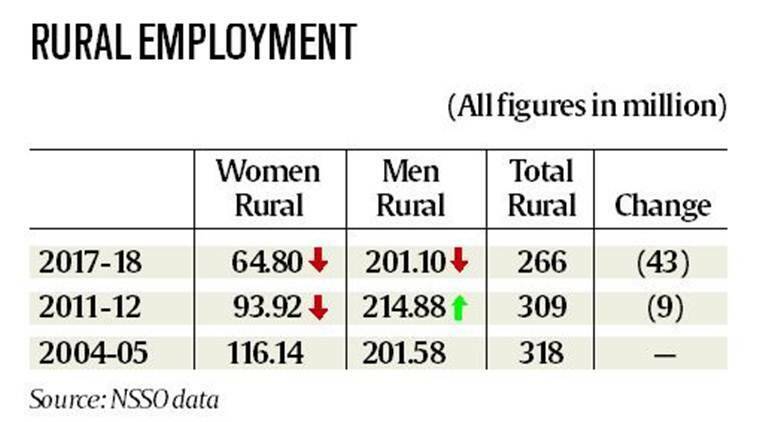 2017-18 data shows 28.6 crore employed male, down from 30.4 crore in 2011-12. The yet -to-be-released PLFS report put the unemployment rate for male in urban and rural segments at 7.1 per cent and 5.8 per cent, respectively. The decline in actual numbers occurred, again for the first time since 1993-94, in both rural and urban male workforce (see chart). 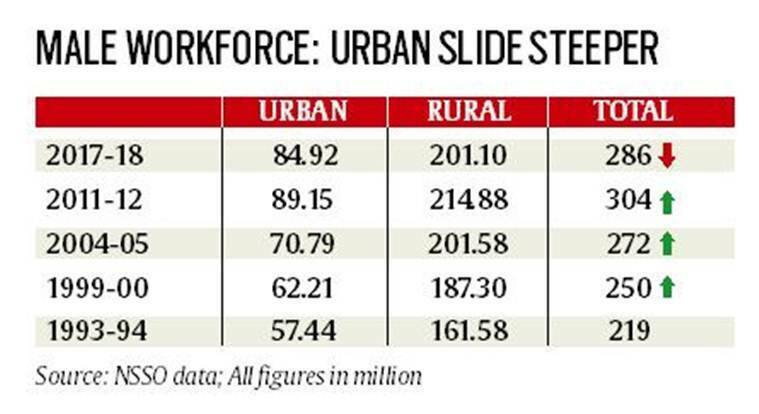 The slide is steeper — 6.4% — in the rural areas compared to a 4.7% setback observed in the urban sector. The yet -to-be-released PLFS report put the unemployment rate for male in urban and rural segments at 7.1 per cent and 5.8 per cent, respectively.